This review was initially scheduled to go live last month but because I have the organization skills of a sloth, you are only reading it today. Is it just me who often procrastinates and lives by the motto tomorrow will be a better day but tomorrow ends up being next month? 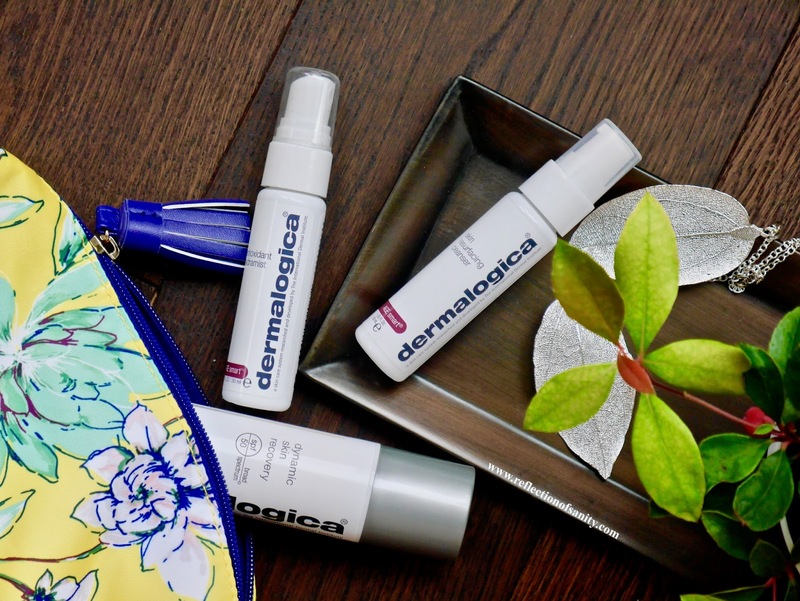 Dermalogica is a highly respected brand that has a very faithful following and many swear by their products, myself included. Their cult favourite Daily Microfoliant remains one of their best sellers and has been my holy grail exfoliant since 2015. 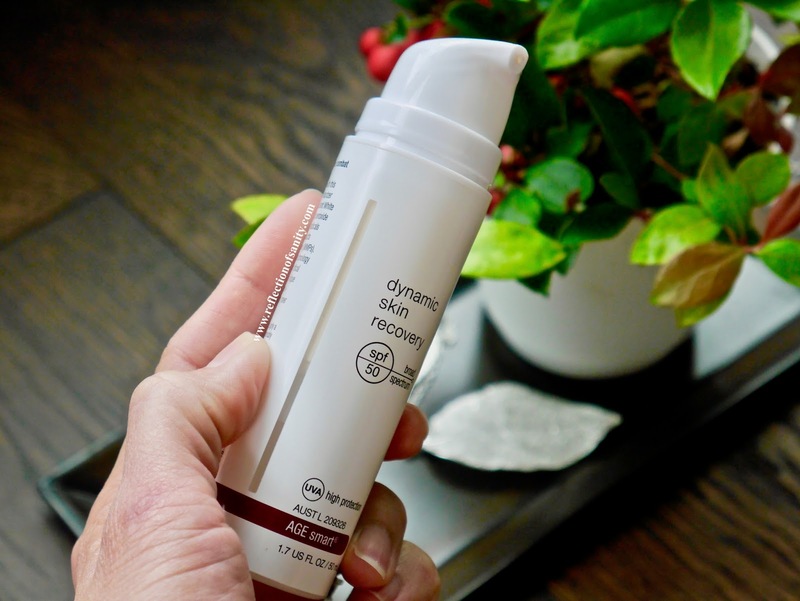 Today I'm sharing 3 products from their Age Smart range; Skin Resurfacing Cleanser*, Antioxidant Hydramist* and Dynamic Skin Recovery SPF50*. I was lucky to receive this trio in a Christmas set and have been putting them to the test throughout the last few months. While the set is no longer available, the products are available for purchase individually. I'm going to start with my least favourite product from this trio; the Skin Resurfacing Cleanser*. 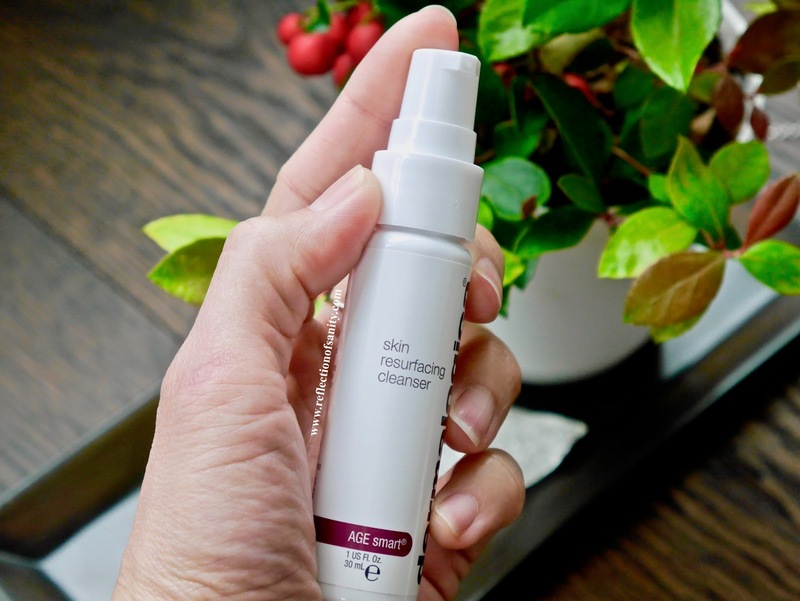 This cleanser has a high concentration of Lactic Acid (listed third in the ingredient list), Vitamin E and is also rich with plant extracts and oils. All the goodness aside, be warned that this cleanser contains SLES (sodium laureth sulfate) and it's listed second in the list. I don't mind SLES in my facial wash but if you do then this cleanser is not for you. The texture is a light cream and it lightly lathers when added with water. It does have a slight scent to it which reminded me of clove and nutmeg and it took me a while to get used to it. Frankly there is nothing wrong with this cleanser; it leaves my skin soft, clean without feeling stripped. My problem with it? I don't find that it does anything special. I didn't get brightening effect, it doesn't help with spots, breakouts, I don't find my skin to feel or look especially smooth...it's just another cleanser. For $62.00CAD, I want a wow factor and this cleanser didn't deliver on that. It's no secret that I love this moisturizer. I love everything about it; the texture, the scent and the high broad spectrum SPF. Not going to lie, it took me a while to love the scent which is again a mixture of nutmeg and clove but it's a small hiccup that I am willing to overlook. Let's talk about the packaging; it's an opaque airless pump plastic bottle that has a small line on the side which allows you to see how much product is left. Now why can't all the beauty companies adopt this same packaging for their skincare product? It's hands down the best packaging ever because it keeps the product fresh for the longest possible time, it's hygienic and I'm not paranoid about how much product is left. The texture of this moisturizer is a light cream but it does take a while to fully absorb into my dry-normal skin. If I am in a rush then I will lightly mist my face and then apply this on top. I use it on its own if I'm staying indoors however I do use another sunscreen on top if I'm spending time outside. What I love most about this moisturizer is how healthy it makes my skin feel and look. It also wears beautifully under foundations and I never felt the need to use a primer on top of it. Repurchase? 110% yes in the future but right now I have 7-8 moisturizers waiting to be used. Now what can I say about this mist that hasn't been said? This is the mist of all mists. I hate the price with a passion but I've been using this tiny 30mL bottle twice a day for more than a month and I still have almost half left. 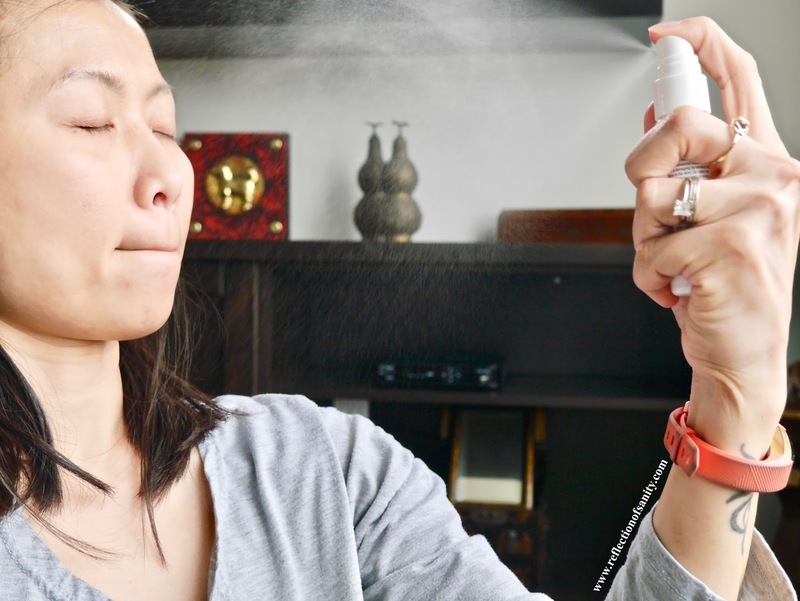 The nozzle creates a very fine mist which I love and the bottle is opaque to protect the ingredient inside. And the inside is what makes this a damn awesome-sauce facial mist. Arginine (amino acid), Aloe Vera Juice, Sodium Lactate (sodium salt of Lactic Acid; antimicrobial) are the top few ingredients and then you also have lots of botanical oils. On top of all that, you get Glucosamine HCI (skin soothing and replenishing), Tocopherol (Vitamin E), Palmitoyl Tripeptide-5 (synthetic peptide; skin restoring) and Leuconostoc aka Radish Root Ferment Filtrate (anti-fungal; antimicrobial preservative). As I said, LOTS of goodness. My skin was very clear and at its best when I was consistently using this but I noticed that as soon as I quit (currently testing Trilogy Hydrating Mist), I started having occasional spots again. Maybe it's a coincidence but I do think this mist is a contributing factor to keeping the spots at bay. 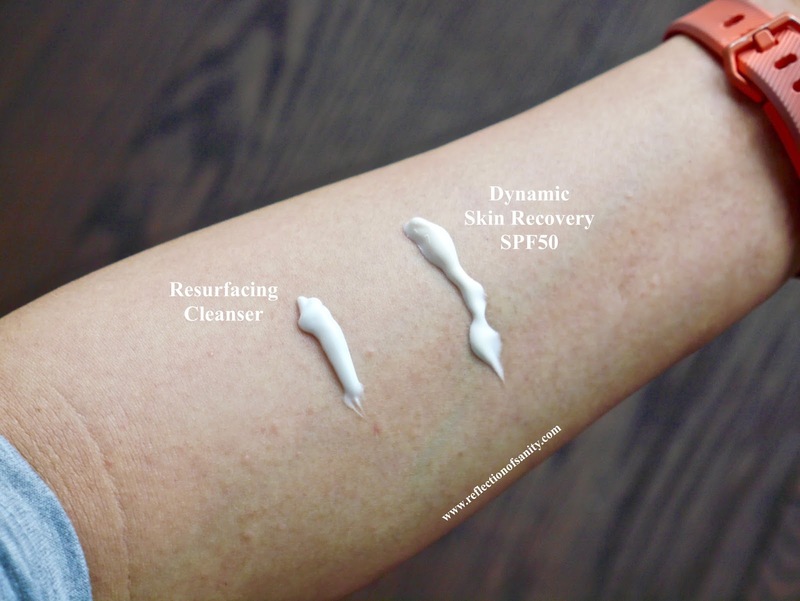 Dermalogica is a brand that I have a soft spot for but I know the hefty price deterred many from giving it a try. Would I recommend these products? 110% yes! Are these products a must-have, must-try? 110% yes for the moisturizer and face mist BUT only if you have a decent budget for skincare. Personally I will be repurchasing the Antioxidant Hydramist this upcoming Sephora sale, my skin honestly misses having it in my routine. Have you tried anything from Dermalogica?